Remote Desktop Manager Enterprise Edition is a powerful and fully featured tool specifically aimed at network and system administrators, as well as at users who need to keep all their remote connections, passwords and other credentials conveniently stored under one roof. Working with Remote Desktop Manager Enterprise Edition is not the easiest thing that you can do on your Mac, but its well-organized interface and easy accessible functions will make it so that you don’t need a large amounts of time before getting to grips with it. Absolutely all entries using Remote Desktop Manager Enterprise Edition must be done by hand regardless if we are talking about credentials, groups, or other more advanced settings. But, as a compensation, once a session is configured, you can take advantage of its batch edit feature that enables you to change settings across multiple sessions. Furthermore, Remote Desktop Manager Enterprise Edition comes with support for a large assortment of connections such as RDP, SSH, Web, VNC, Telnet, ICA/HDX, TeamViewer, LogMeIn, as well as for 25 VPN types with the help of add-ons. As far as security is concerned, Remote Desktop Manager Enterprise Edition features a built-in password manager, a password analyzer and a SSH key generator. It also enables you to save and manage all your passwords, as well as to import data from other existing password managers. 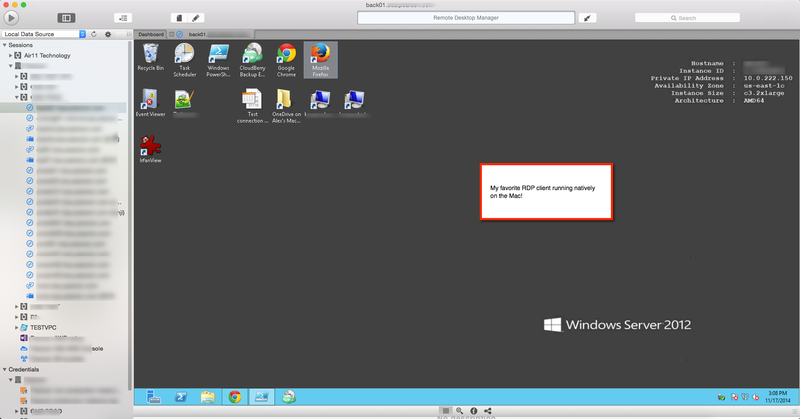 Regarding its management tools, Remote Desktop Manager Enterprise Edition integrates consoles for Citrix XenServer, VMware, Microsoft Terminal Server and Hyper-V, as well as remote shut down, Wake on LAN and inventory report features. Taking all things into consideration, Remote Desktop Manager Enterprise Edition offers a streamlined managing environment and a plethora of features that make it a must-have application for any system and network administrator who works with multiple remote connections and credentials.